SIM card safety while buying a SIM card in India? You are here: Home / Online Jobs / SIM card safety while buying a SIM card in India? Plan to buy a SIM card in India? We all know we need to submit a photo ID proof, address proof and one passport size photo to buy a SIM card. But be Alert! Your Identity proof can be theft. Here I explain you how to avoid identity theft while buying a new SIM card in India. As Local mobile shop vendor India are so careless and lack of awareness of Identity theft. Mobile shop may haven for criminal to theft your Identity and reuse your documents for an illegal SIM card. Later it can be used for criminal activity. Use to buy SIM card from authorized SIM card provider Store like Vodafone, article or Idea. 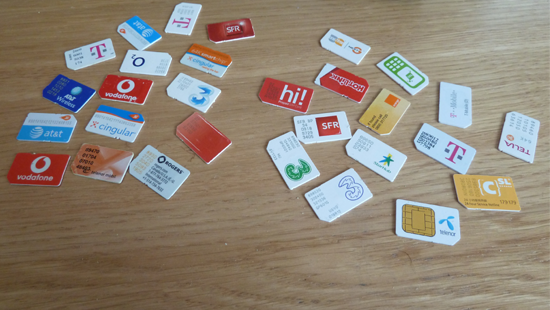 Some of foreign buy SIM card from local shop in Goa, I advise those to buy from any Idea Store near by your hotel or any international airport kiosk store. As per our survey we have seen that Vodafone, idea and article store authority has more concern and careful to handling your sensitive information. You can fill safe by providing your document into their hand. While you visiting any SIM card store make sure to talk somebody with ID card and uniform. Those guys are responsible and honest into their work. They have trained about Identity theft. Sometime it’s may cost some extra money for buying SIM card from Store but it’s a best way to keep your Identity safe. Remember it’s a digital world. So even a photo of your Identity proof can be used to replicate photocopy and criminal can easily theft your document for illegals use. Before submitting your required document for new SIM card connection make sure you have own photocopy of your identify proof. Always make full signature with a permanent marker and use stamp into your photo and document so in later its can be used for any illegal purpose. Don’t buy any readymade SIM card from local shop. They are using Fake Identity or invalid identity. Its cause police and low hassle. Remember not to participate any type of illegal act in India. Some SIM card vendor may advice you not to sing in application form and identity paper. To be smart asked them it’s illegal and don’t hand over or accept a SIM Card without your Document Signature. Download: Safety Sim Card Apps for your phone. All right that’s pretty much let me know how you guys learn about SIM card safety tips. If you have any more tips or feedback to share let me know by comment below. I am a tourist. Yesterday SIM card offices didn’t work so I did a mistake and bought a SIM card from a mobile shop. Now I realized that it is second hand because I received an sms which is not mine. I am really scared. I am leaving India but I am afraid that somebody may use my identity for criminal activity.